For further information on this product please contact us. Please click on any of the product pictures to access more information about the particular product you are interested in, however we strongly recommend that you visit your nearest showroom, where our staff will be happy to provide you with all the information you require to make an informed choice, and as a manufacturer we can ensure that any specific requirements that you have are provided at very little extra cost to ensure that you are 100% satisfied. Fitting is available with Gas Safe and Heatas approved engineers, and all customers have access to our technical enquiry department if you intend to fit yourself. To allow us to help you, where possible please bring details of the room where you intend fitting your fireplace or fire. 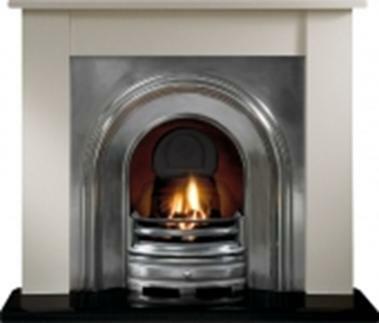 Size of room (Length, width and height), width of chimney breast, size of actual fireplace opening, and location of any gas or electric points. A picture on a digital camera or mobile phone is also helpful. A quick look outside at the chimney stack is worth while to see if there is a typical chimney pot fitted or some kind of ridge vent. Where possible visit us during the week as this tends to be more quiet than the weekends, and can avoid having to wait for technical assistance. A phone call to our showroom before setting off is advised as very occassionally we may close for specific staff training. We look forward to seeing you and hope we can be of service.